JUST NINE DAYS after leading New Zealand back to the Rugby World Cup promised land, Graham Henry has decided to call it quits. The 65-year-old announced this morning that he is to step down as All Blacks coach after seven years in the job, but hinted that he’s not ready for professional retirement just yet. The New Zealand Rugby Union confirmed today that they are in talks with Henry with a view to convincing him to stay on as a mentor to the country’s Super Rugby coaches, but they are hardly the only interested suitors. Reports last week linked Henry with a role in England, and he told BBC Radio Five Live this morning that he will consider all of his options before making a decision. Henry won 88 of his 103 tests as All Blacks coach, a stunning win record of over 85% which included five Tri Nations trophies and three Grand Slams against the Northern Hemisphere unions. “It’s been an enormous privilege to coach the All Blacks and I am exceptionally proud of how the team has added to the All Blacks legacy over the last eight years, involving 103 Test matches,” Henry said this morning. I am also exceptionally proud of how they have developed an extremely professional and enjoyable culture and environment, and how they have reached out to people of all ages and put a smile on their faces, both here in New Zealand and overseas. So I want to say a special thank you and congratulations to all the players who have played during this time, especially to Tana Umaga and Richie McCaw, the two long-term captains. Email “Won and done: Henry steps down as All Blacks coach”. 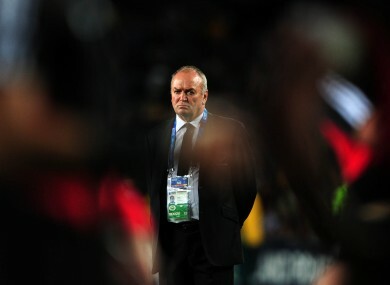 Feedback on “Won and done: Henry steps down as All Blacks coach”.